In today’s auto industry, fixed operations are more important than ever. More dealerships today make a large portion of their money doing repair and warranty work than ever before. And yet, we are all aware of the significant shortage of technicians that is currently plaguing our industry. One very simple solution to this issue is to take advantage of our ASE Education Foundation program. ASE is a partnership between participating automotive manufacturers, the National Automobile Dealers Association, participating state automobile dealer associations, participating dealers, and selected high schools/tech prep schools. It’s designed to encourage young people to consider satisfying careers in retail automotive service, and prepare them for entry-level career positions or advanced studies in automotive technology. The VADA Partnership has two purposes: to improve the quality of automotive technology programs in all Virginia secondary schools, and to encourage young people to consider and pursue careers in this exciting and growing field. Virginia has one of the most successful ASE programs in the country and, since 2013, has placed over 400 students into technical careers. How will it benefit you as a dealership? The goal of the program is to provide the dealers of Virginia a highly trained pool of young apprentice technicians to staff their dealerships. This apprenticeship program allows a dealership to grow a team of technicians from within the organization. 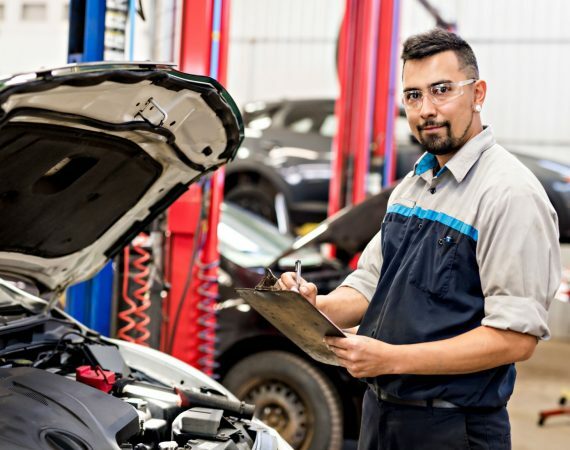 Service Managers can get involved with automotive school programs in their respective areas. To find a program near you, click here. Serving on the automotive advisory board ensures the ability to work closely with the school to meet their needs. If your dealership is in need of technicians or you would like to learn more about the ASE program, please contact Bob Owen at bowen@vada.com or by calling 804.283.0176.